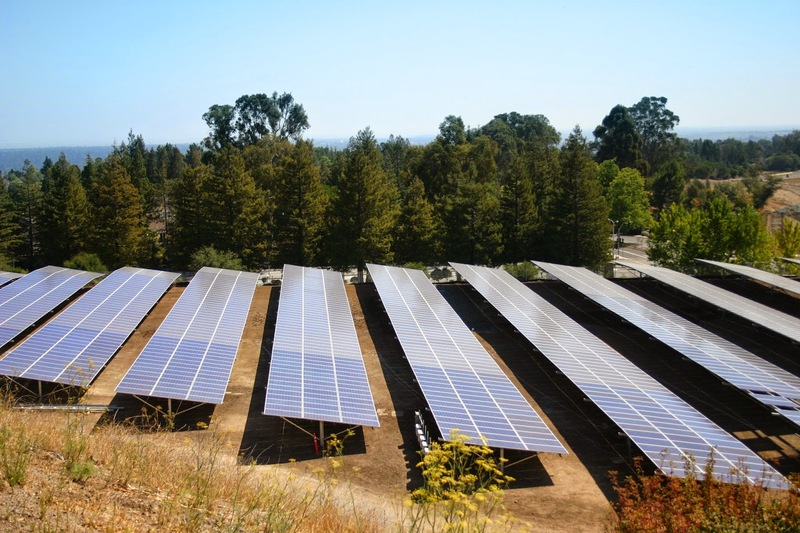 REDWOOD CITY, CALIF. (December 5, 2014) – On December 4, 2014, Cañada College and the San Mateo County Community College District (SMCCCD) celebrated the unveiling its new Solar Farm. The $4.5 million installation of the Solar Farm marks the first renewable energy project undertaken by the District and will offset half of Cañada College’s energy consumption. More than 4,000 high efficiency panels will produce over one million watts of clean, renewable energy each year for more than 25 years. The project, approved by the SMCCCD Board of Trustees in January, includes installation of ground-mounted solar panels on a 3.5-acre site located adjacent to the school’s athletic fields and just above the Farm Hill Boulevard entrance to campus. Cañada College was chosen for the site because it has the greatest exposure to the sun year-round, is adjacent to existing electrical systems infrastructure and is the least visually obtrusive to neighbors. The timing for the project was ideal since Proposition 39, the California Clean Energy Jobs Act which passed in 2012, allocates revenue to local education agencies to support energy efficiency and alternative energy projects. Prop 39 gives the District $554,000 in funding and the California Solar Initiative will provide about $870,000 in rebates over a five-year period. The ribbon cutting ceremony included District, County, City, and College personnel as well as many community and industry partners.